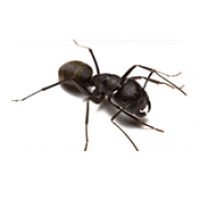 Do you have carpenter ants living in your home? When carpenter ants create a nest in someone’s home most of the time you cannot physically see them because they inhabit wall voids. What you may find however, particularly in an unfinished section of the home, or even outside, are small piles of very fine sawdust (also known as frass). This is the by product that the ants create in the process of making their nests. Here is some information to help you determine whether or not you have a nest. 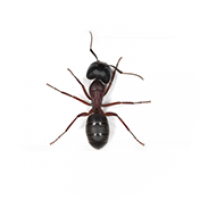 If you begin to see ants that are a ¼ inch long (or even larger), and black in color or with a distinct red mid section, it is likely a carpenter ant. These are the only species of ant of this size found inside homes in the N.H. Seacoast, and southern York county Maine regions. Another indicator is to see them on a regular basis, particularly at the start of spring when they are coming out of hibernation. The ants have been in the nest in your home and are becoming active as the weather gets warmer. You may first see them for a couple of weeks in those early weeks and then stop seeing them in the later part of the season. However, once inside, carpenter ants do not move out. The ants will focus their activities outdoors, and even become nocturnal so you see them less, later in the summer. You can have a Carpenter Ant nest in your home and not see them inside because they are focused on foraging for food and interacting with other nest sites outside your house. During this time you will notice them outside traveling across your deck, front steps, or up into the corners of the foundation, and often around the garage doors on the pavement. Carpenter ants create and live in colonies that can have several nest site locations spread out over a large area. Piles of dead wood, trees, and stacks of cut wood, in different locations on your property, are all prime real estate. The ants will travel between these nest sites in the warmer parts of the year and create even more. 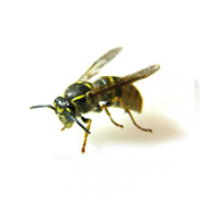 When a colony in the area of your home finds a way inside, it will invade and then create a satellite nest indoors for the colony. You can actually have more than one nest in your home through this process. You may see carpenter ants traveling from your home and across the lawn to a tree were another nest site is located. They will sometimes actually cut a swath through your lawn between your home and the external nest site. Carpenter ants will continue to reinvade homes from these exterior nests if not treated annually. There are several different species of Carpenter ants. Some are all black and others may have a red midsection. In any Carpenter ant colony you will find three forms of carpenter ants. The King, which looks like a small wasp, as shown in fig 1 as the smaller winged ant. The King’s life span is short and exists only for breeding . Once having bred the Kings die off. 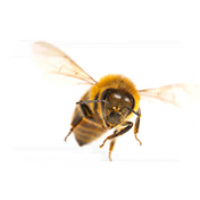 Each nest has a Queen, but the new Queens which occur every year are the ones most people are familiar with. New Queens start with wings as shown in fig 1, which are essential only to leave the nest with. The wings are dropped after leaving as they begin to crawl around looking for a suitable place, like your house, to start a new nest. These are referred to as swarmers. The Queens are found crawling around during the first early warm days of spring for a week or two while they look for nest sites. There can be a 1000 + swarmers in a single nest site. The third type of Carpenter ant is the worker and they are found in different sizes as seen in Fig 1. These ants are the backbone of the colony and the ants that do all of the work for the nests. These ants are the ones that damage your home as they dig through the wood in the process of building the nests. 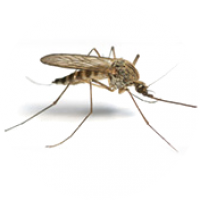 You will find them foraging for food in areas like your kitchen and bath room. The belief that Carpenter ants eat wood is not true and this is why you find piles of saw dust near nest sites. They build their homes out of wood and live in it just like we do. 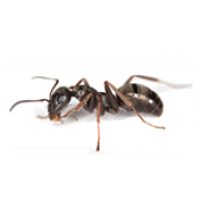 Carpenter Ants actually need the same foods we need to survive - sugars, proteins, fats, water, etc., which is why they are most frequently seen in the kitchen and bath rooms of your house. Simply put - they’re out picking up supplies. 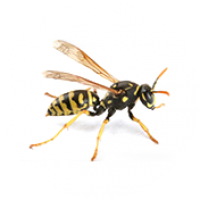 Their most abundant food sources are flower nectar and other insects, both found outside. The ants will stop foraging in your house while it’s warm to gather these foods but they still maintain one or more nests in the your home’s structure. Trim all plants away from the house. Each branch that touches the home is a bridge for the Carpenter Ants to enter and leave. We want them to have to cross your foundation specifically because that is where the treatment to stop them will be placed. Reduce moisture damage to your home. Moisture damaged wood is what carpenter ants prefer to live in. Having Gutters on your home to divert water, and an 18 inch barrier of crushed stone around your foundation this will help reduce moisture damage to your home.